Antriksh Abril Green: An epitome of simplicity with elegance! Antriksh Group has come up with the remarkable housing project at the sector 11 of Vrindavan Yojna in the city of Nawabs, Lucknow. 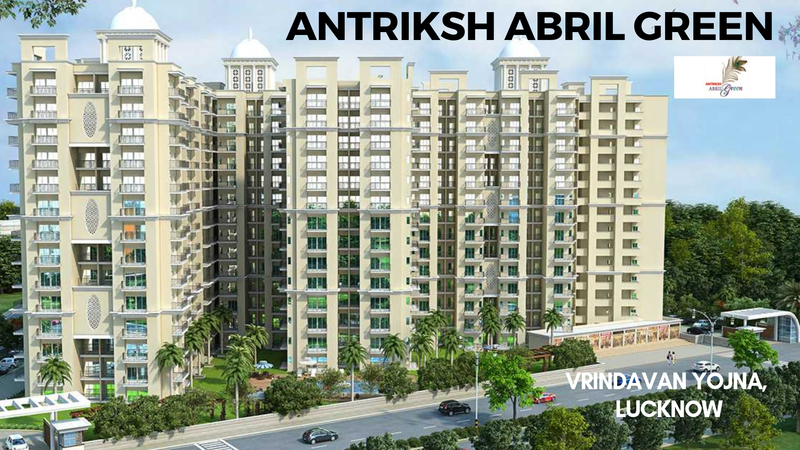 Antriksh Abril Green has already made its place in the real estate as it is considered as the best habitation in terms of quality for the customers. This residential project is residing 2 BHK, 2BHK study, and 3 BHK apartments. However, the size of all the apartments is not the same. The size varies from 1000 sq. ft. to 1535 sq. ft. Antriksh Abril Green price starts from Rs 33.99 lakhs to Rs 52.17 lakhs. One has to pay 10% of the total amount at the time of booking an apartment. All the apartments in Antriksh Abril Green Lucknow are spacious and luxurious, leading you to live a life of the class. It will surely match your status and style. Each and every corner of this residential project reflects positivity as the whole structure is built in compliance with Vaastu. This one will give you a great and wonderful life as the whole architecture of the building has been built as a green building and eco-friendly one. It has a high-tech control system along with 3-tier security provided by the CCTV. For security purpose, intercom facility is provided in each apartment. The facility of banquet hall gives you an opportunity for social get-togethers, functions, and celebrations. The residential project is also concerned with the environment; therefore, it has a system of rainwater harvesting. Within the premises, you will get endless joyous amenities like a library, indoor games, internet, fire extinguisher, badminton court, swimming pool, basketball court, landscaped garden, gymnasium, spa, children’s play area, community hall, and so on. Furthermore, the whole structure of the building is resistant to earthquakes. In fact, in each apartment, there is a proper provision of natural light along with the ventilation. You will be glad to know that it has a restaurant in it which will be serving many delicious cuisines. Its location in Lucknow city is the USP of this project at the airport is only at a distance of 9 Kms and it will hardly take 10-15 minutes to reach the airport. In fact, it is also nearby to SGPGI. Charbag is also located at a distance of only 7kms. Furthermore, reaching the Telibag will hardly take 5 minutes as it is only 2 Km away from the location. All the other basic facilities such as schools, hospitals, colleges, and other entertainment options are located in close proximity. 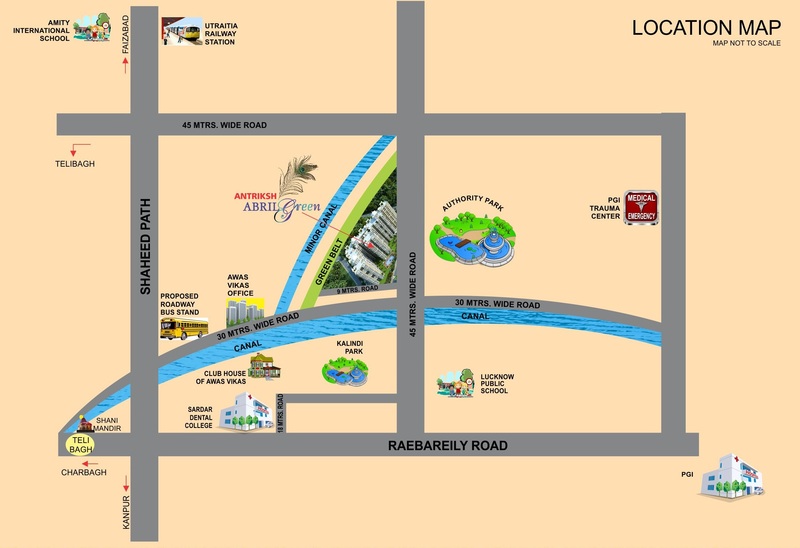 The close proximity to major points in Lucknow makes this property the most favorable one for investment. Its close access to every point in the city makes it the perfect place for living. Therefore, if you are thinking of buying a property in this residential project, then go ahead and make your investment in the right direction.